Sankari's Sunshine Corner: Taylored Expressions Release Day Nov 2016 - Happy New Year! Taylored Expressions Release Day Nov 2016 - Happy New Year! Today is Release Day over at Taylored Expressions where all the new stamp sets, dies and embossing folders are available for your crafty pleasure! 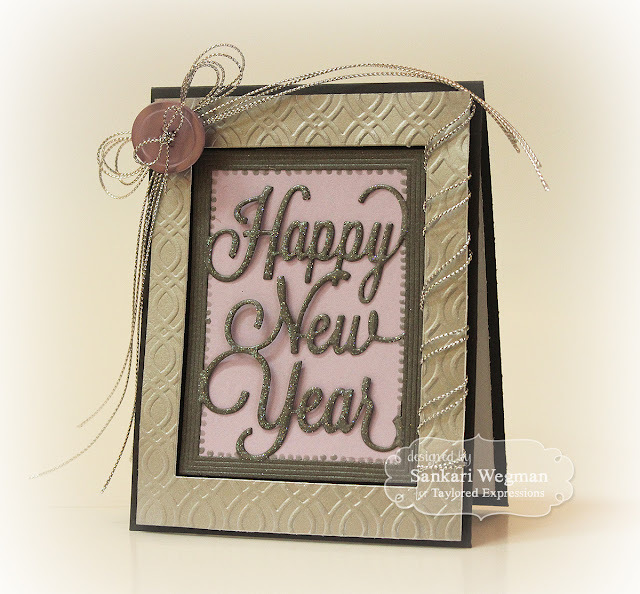 Today, I am excited to show a card I made using the Happy New Year die from Taylored Expressions! 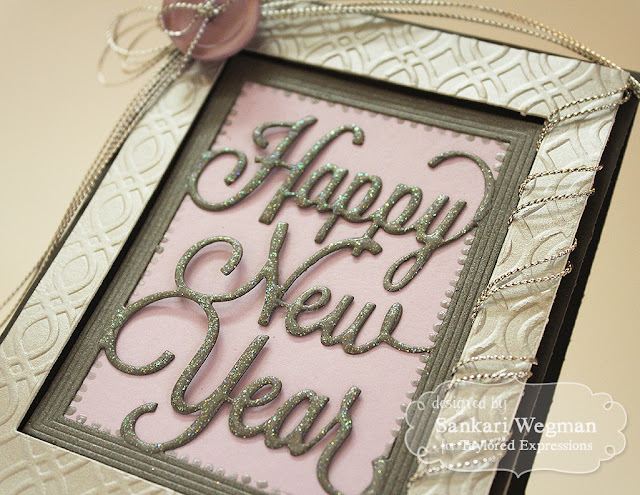 This is such a fun and easy card to make - and there are so many possibilities in terms of colors or embellishments that you can use to dress it up! Sankari this is beautiful! I love the elegant colors and all the sparkle! Oooooo, I love the new dies. Your card looks fabulous.